When driving to the south of France, combining stop-offs at vineyards, character-filled villages and outstanding restaurants can turn the long journey into a French adventure – just remember to obey the local laws. If you’re driving to the Med this summer, remember a journey through France is a little holiday in itself. 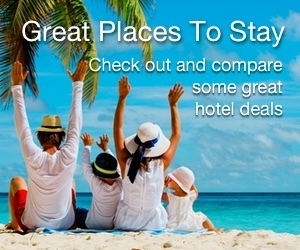 Just about the whole country is ideal for scenery and sightseeing, culture and cuisine. And for millions of visitors each year, it’s as much fun to drive to, as it is to arrive in, the sun-kissed French Riviera. Of course, if you’re not interested in seeing the sights (except maybe from a distance), the fastest way south is straight out of the ferry or Eurotunnel terminal and onto the autoroute. From the tunnel, exit onto the A16, and choose from an inland journey (following signs to Calais and Lille) or the coastal route (following signs to Boulogne). Or, if you’ve disembarked from a ferry at Calais, follow “Toutes Directions – A16 – A26”. 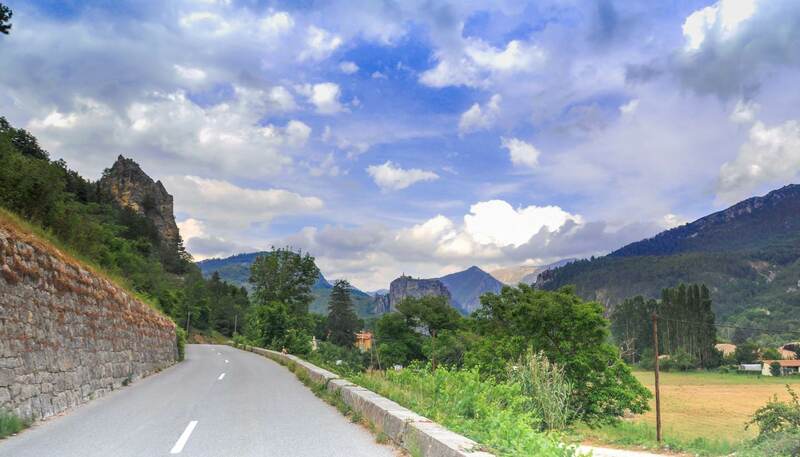 Stay on the motorway all the way to the Côte d’Azur; a journey that takes around 12 hours. But if you want to see the real France, be clever and combine autoroutes and expressways with country roads and local highways. This makes it possible to drive through the idyllic French countryside on a brisk journey to experience the sun while making sightseeing stops at charming towns and villages en route. Either way, it pays to keep updated with congestion, roadworks and other traffic information on the invaluable Bison Futé website. To avoid delays, don’t go via Paris. A quicker route south is east of the capital on the A26 (fittingly named the Autoroute des Anglais – the ‘English Autoroute’) from Calais to Troyes in Champagne country, down to Dijon, then onto the A6/A7 (Autoroute du Soleil) for the rest of the trip. 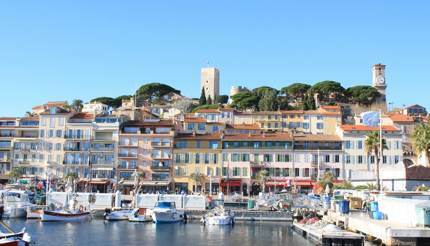 French autoroutes are excellent, fast-moving and the dreaded cones are rarely seen; but you’ll pay tolls amounting to around €109 (around £96) for the coast-to-coast trip to Cannes. There’s no need to worry about carrying the right money for autoroute tolls, however, as they accept all the major credit and debit cards, and even foreign currency. Not all routes cost the same. For example, it’s cheaper to drive to the Languedoc coast, than the Riviera, thanks to the toll-free A75 across the picturesque Massif Central. To go this way, travel via Boulogne and Rouen, cut across on the N154 to the A71 towards Clermont-Ferrand and head south, over the soaring, elegant Millau Viaduct, to Languedoc’s long, sandy beaches. You don’t even need to leave the autoroutes to eat well or sleep comfortably. Rest areas and service stations are plentiful (generally every 25-50km/15-30 miles) and very well equipped, with decent self-service restaurants, landscaped outdoor children’s play areas and shaded picnic tables. Many of these also have simple, modern, budget accommodation right beside the slip roads. Of course, as soon as you drive onto French soil, you come face-to-face with French rules of the road. They’re simple enough, but remember that French police have a penchant for on-the-spot fines. Fines can be imposed for almost any offence, such as not stopping at a ‘stop’ sign, not wearing a seat belt, breaking the speed limit, or illegally overtaking. Headlights should be adjusted for driving on the right so as not to dazzle oncoming drivers at night. Driving while over the alcohol limit is a more serious matter. The legal limit for alcohol in the blood is only 0.05% (compared to 0.08% in the UK). The only unfamiliar rule may be priorité à droite (priority to the right). This means that as well as driving on the right, you must “give way to anything approaching from the right”. In practice, this mainly refers to urban traffic, because it doesn’t apply when your road has the right of way (“passage protégé” – indicated by a rectangular yellow sign), or where vehicles coming from the right are emerging from private property. But do watch for signs to see who has priority when two roads merge. When entering a roundabout, if there’s a cédez le passage (give way) sign, it means cars already in the roundabout have priority, as in the UK. Petrol is no problem. All the familiar brands are available everywhere, but prices are a little higher than in the United Kingdom except for diesel, which is slightly cheaper. Arrive in France in time for lunch or dinner, and tuck in as soon as you arrive. Oysters and freshly landed fish are on menu in Calais, Boulogne and the seafront villages in between. Head east to Reims, the heart of the Champagne region, and visit the cathedral and a champagne house. Pristine vineyards and prosperous villages south of the city include lovely Hautvillers, where champagne was invented. The A26 ends at Troyes, a busy market town with gorgeous, old timbered houses. It gives easy access to Chablis, in northern Burgundy. This pleasant, quiet village is bursting with small producers of the most delicious white wines, and there’s a good hotel-restaurant, Hostellerie des Clos, with classic Burgundian dishes. Carry on to Dijon, Burgundy’s dignified capital. 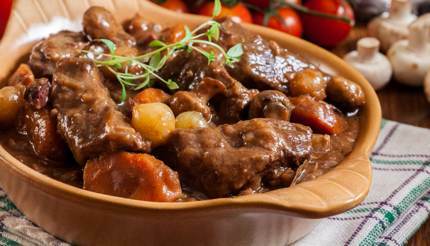 After visiting the historic quarter and Ducal Palace art museum, this is the place to find regional dishes such as boeuf bourguignon, and such specialities as mustard, pain d’épices (spiced bread), crème de cassis and prestigious wines. Burgundy’s rural Côte d’Or wine road runs through celebrated vineyards – with plenty of opportunities to taste or buy. The road ends at handsome Beaune, a fortified medieval town with masses of character and fascinating sightseeing – and the focal point of Burgundy’s wine trade. A smart place to stay in comfort and enjoy excellent local cuisine is Hostellerie du Vieux Moulin at picturesque Bouilland, deep in the countryside northwest of the town. The next morning, head due south and skirt the Lyon conurbation on the A46 (the city deserves a couple of days to itself) to join the Autoroute du Soleil as it pours south through heady red wine country. For a stopover, Hôtel-Restaurant Valence Michel Chabran, just north of Valence, has outstanding Michelin-starred dining and excellent accommodation at a reasonable price. From here, it’s under three hours’ drive to the Riviera and its stunning beaches.